For a while now we’ve been thinking about doing a post on cachaça. Our recent trip to Tales of the Cocktail finally pushed us over the edge, as we discovered some lovely new ones there. If you don’t know, cachaça is a Brazilian spirit made from cane juice instead of molasses, not unlike a rhum agricole. Think white rum but with notes of fresh cut grass from the sugar cane itself. Read on to see how our current selection of cachaças compare. Much like rum, cachaça has both an aged and un-aged expression. For this post, we focused on un-aged, with the plan of looking at aged ones a little further down the road. We currently have 8 different cachaças in the bar. We chose 4 of the unaged and tasted them side by side. Nose: Faintly sweet, with alfalfa hay and lemon. Palate: Mild hay on the front, lightly bitter lemon pith notes on the mid-palate, finishes with garden thyme. Decent alcohol bite. Fills out and becomes a little more full-flavored as opens. Good basic mixing cachaça, has expected grassy/vegetal notes but pretty gentle and restrained. Nose: Malty with sweet corn notes. Fairly dry. Slight alcohol nose. Palate: Sweet, smooth, with a good round palate. A few notes of green sugar cane, otherwise fairly neutral. Mildest of the four, a very easy intro to cachaca for white rum or vodka drinkers. Nose: Quite grassy with a little touch of seaweed (in a nice way). Little bit of sharp green smell like carrot tops. Very strong nose compared to the first two. Palate: Closely tracks the nose – cut grass, hay, seaweed – along with some fresh woody flavors from the cane. More strongly flavored than the Ypioca and 51. Finish is a touch hot. Nose: Tiny bit of grassy notes, then strong black pepper and warm concrete. Dry and dusty. Also a pretty strong nose. Palate: Again, tracks the nose closely. The mineral-y, dusty flavors remind us of a mezcal minus the smoke and petrol. Some green/peppery nasturtium notes. Pepper notes really stand out when tasted side by side with the other three. Like most spirits, each brand manages to bring something unique to the table. We like all four of these, and choose between them depending on the drink. Speaking of drinks, cachaça is the base spirit in the Caipirinha, Brazil’s national cocktail. 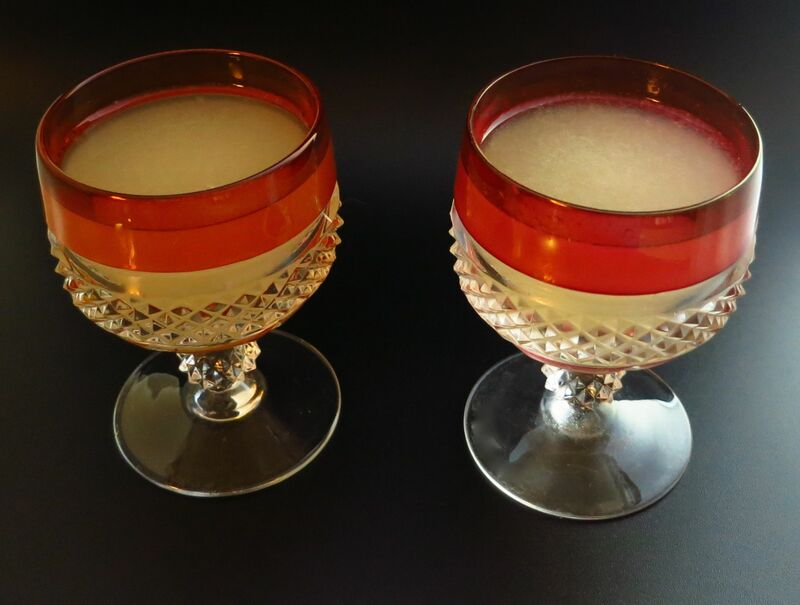 Think Daiquiri but with cachaça, though whatever you do, don’t mention the war call cachaça a rum ;), as cachaça is now an official designation here in the States. With that in mind, we decided to taste the Avua and the Agua Luca in Caipirinhas to see how they compare. Nose: Similar to the base spirit with lots of grass and seaweed, plus some lime. Carrot top green notes are gone and it’s a bit sweeter. Palate: Intro and halfway through the mid-palate is similar to drinking the straight spirit with vegetal grassy notes and seaweed, though sweeter. Mid-palate through the finish sweet lime kicks in, with a real acidic bite between the mid-palate and the finish. Finish is all about the bitter and perfume-y lime peel. Not exactly a harmonious cocktail in that the ingredients seem to take turns rather than play together, but very tasty none the less. As it warms up, the grassy notes start showing up on the finish and the drink integrates more. Nose: Similar to the spirit but with the black pepper more muted and the dusty mineral smell stronger. Lime. Faint floral notes. Palate: Intro is mineral and dry concrete. Little bit of black pepper, lime perfume and faint floral notes like lily on the mid-palate. Sweet lime on the mid-palate and into the finish. Finish is a lot of bitter lime peel. Not as acidic as the Avua, smoother and more integrated. Both spirits we tried make delicious versions of the Caipirinha (as do the other two); which one is a favorite really depends on what we’re in the mood for. 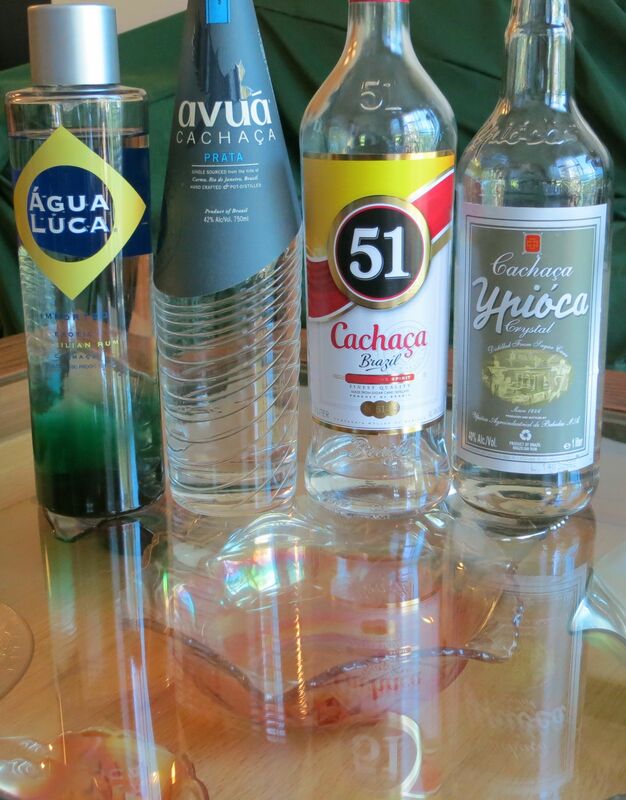 If you haven’t had cachaça before, we recommend you add some to your bar when you get a chance. It really isn’t just another rum. This entry was posted in cachaca, lime juice, simple syrup and tagged agua luca cachaca, avua prata cachaca, cachaca 51, caipirinha cocktail recipe, ypioca crystal cachaca. Bookmark the permalink. Finally, it’s great to see Cachaca get some recognition especially while the Rum craze is taking off. Who imports Agua Luca? I have not seen that one before? Do you know who might distribute it in California? Cachaça is a class of rum just like Rhum Agricole is. The people marketing it for the American market need to get over themselves.